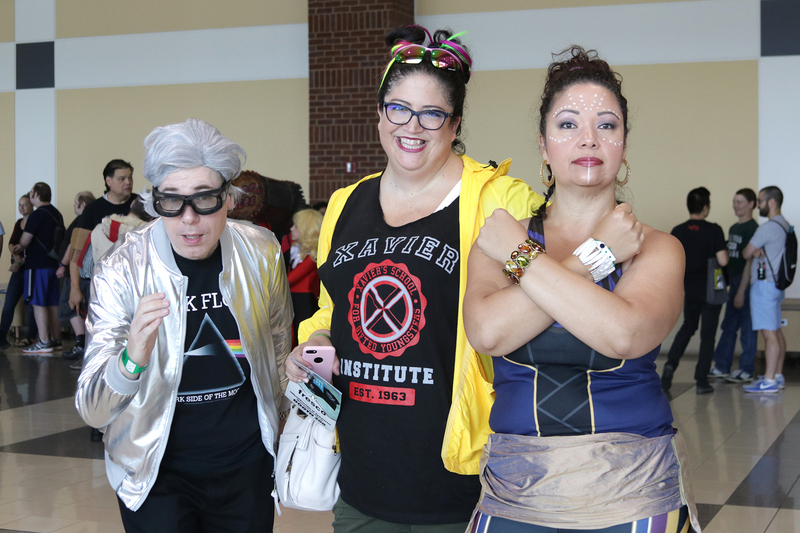 While the Twin Cities have a very active fan and geek convention scene, the pop-culture “comic con” style of expo hasn’t been very successful in our market. Many of the companies that have tried have been the worst kind of gate show that provided little beyond expensive celebrity autographs. 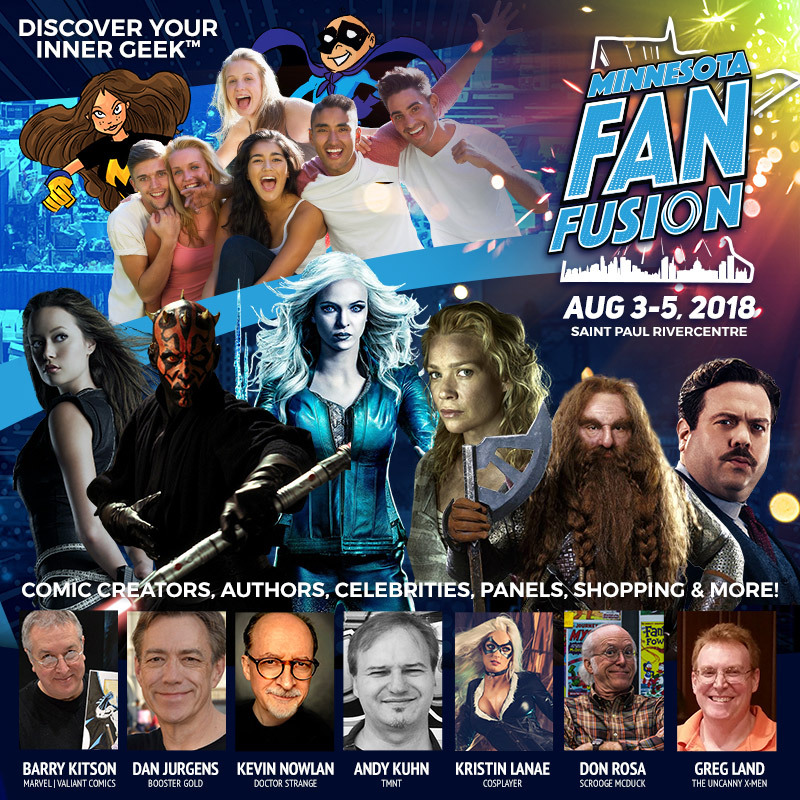 Minnesota Fan Fusion (which opened last year as Minnesota Fan Fest) is the latest to enter this area, and it has the potential to be something more than that, filling a different niche from any of our other local events. You might want to compare this convention to the other events in the area, but this is a different sort of event than anything else we currently have. The MCBA comic conventions are solidly focused on comic books; you won’t find celebrity actors there. And while CONvergence and other hotel-based conventions occasionally have pop-culture celebrities, it’s not the primary goal of those events. A convention like Fan Fusion will be able to provide that to people who want it—fans have asked to see Firefly actors like Summer Glau in this city for years, and this is the type of event that can provide it. Finding a good time of year is almost impossible, and there will always be conflicts. But early August isn’t the worst choice, and the events that it does conflict with don’t necessarily have a huge overlap among attendees—plus, Fan Fusion makes it much easier to be a “tourist,” stopping by for just part of the weekend, as opposed to some other conventions that create more of a weekend-long conflict. I even saw someone wearing a 2D Con badge at Fan Fusion, so someone was able to hit both cons this weekend, and it’s the type of event that you could easily hit if you were also going to Minnesota Fringe Festival shows. One of the initial things that I like about the convention is that it’s based in downtown St. Paul. 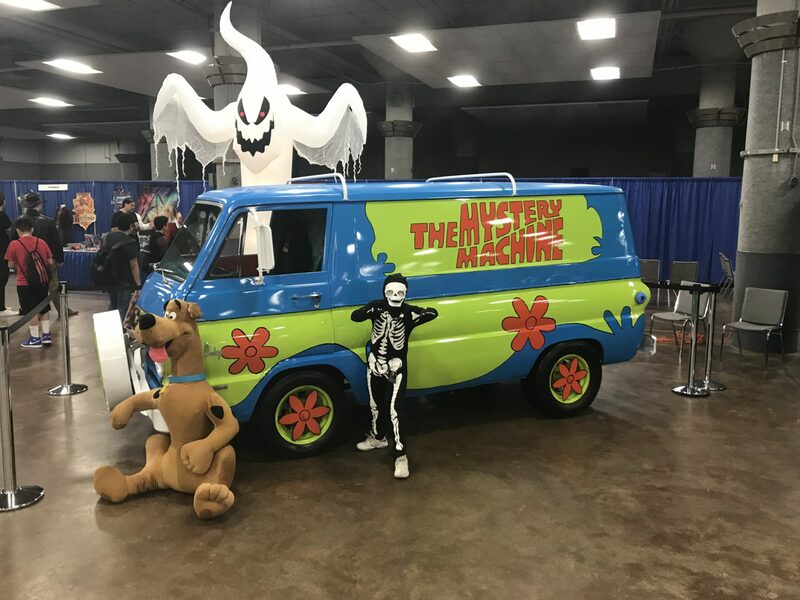 Many of the Twin Cities’ geeky events are in Minneapolis or the western suburbs, and the RiverCentre is a good-sized venue for an event like this. Parking this year was a bit of a challenge, though some of that was because of one of the larger parking ramps was offline and other events downtown made it difficult to find great options, so it was worse than my usual trips downtown. Aside from location, the RiverCentre is also a solid choice inside. The lowest level is a good-sized exhibit hall and the center of the event. I was overall impressed with the mix and number of vendors; there were some that I recognized and others that I didn’t. 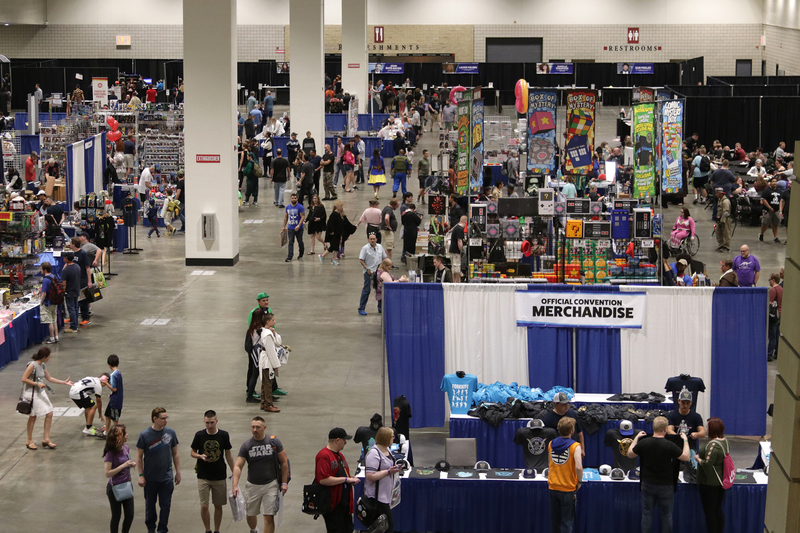 The shopping is a major draw—it’s got a lot of good comic books and other memorabilia, and there were a good number of celebrity actors and well-known comic artists if you wanted autographs, photos, and sketches. I also enjoyed seeing the variety of up-and-coming artists and vendors, which provides the diversity that could be missing if you only looked at the top-tier guests. 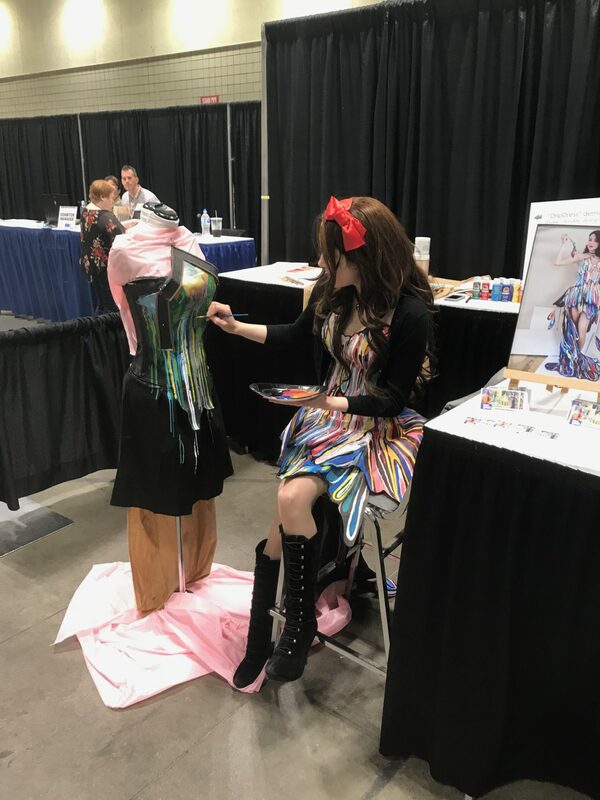 My particular favorites were Sawa’s laser-crafted tabletop gaming materials and Olivia Mears’s AvantGeek cosplay display, where she was actively working on a painted dress project during the convention. I also enjoyed that the exhibit hall had a good amount of socializing space: several of the RiverCentre food places had more than sufficient seating space nearby, and they had the right level of busy, where you could find places to sit but never felt like there was no one at the event during those times. The convention has made a clear effort to reach out and include parts of the local community. 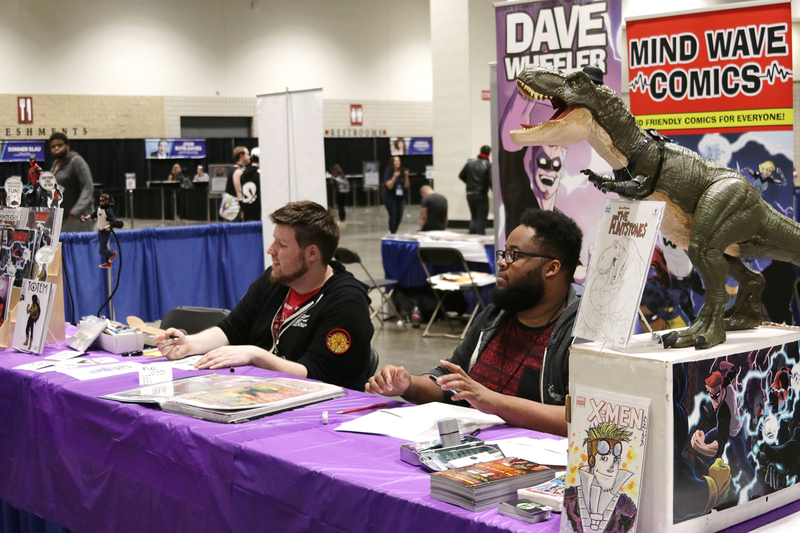 While Square Egg Entertainment, the organization putting it on, is based out of state, its founder and owner is originally from the area, and local comic artist Dan Jurgens is a key influencer in the event. 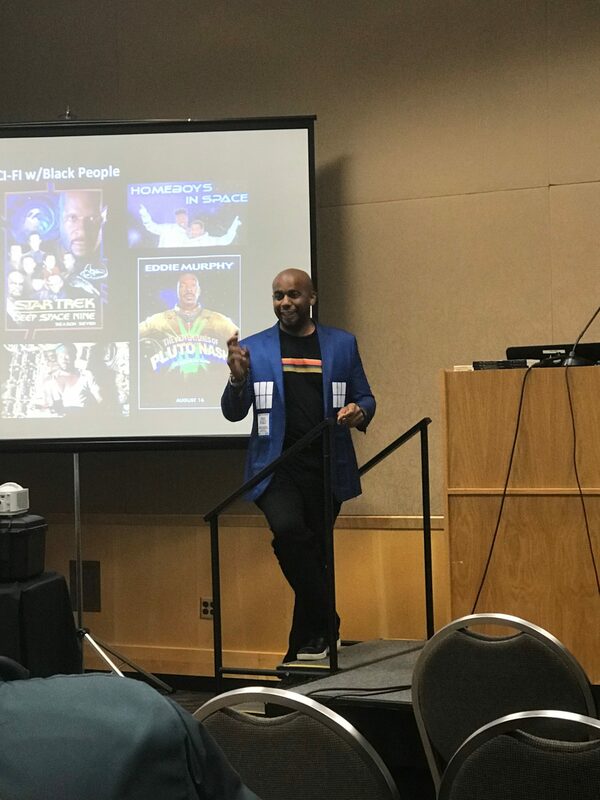 Organizers have reached out to Twin Cities Geek as well as other local organizations like Geek Partnership Society and the Minnesota Science Museum for input and involvement. I also respect that as a commercial operation, Fan Fusion doesn’t use volunteers. I love volunteer-run events, but commercial operations shouldn’t be using volunteers; they should be paying people that do the work. I talked to some of the local creators that were at the event, and they all were very complimentary about how the convention treated them. It’s one thing for the out-of-town celebrities to be treated well, but it is the locals who provide the bulk of any event like this. The additional creators also provided for more diversity than you’re going to be able to find with just the most popular celebrities. On the negatives, programming is a definite weakness. While I think the rooms were well set up from a technical standpoint, and there were a number of rooms that could have a good variety of programming, the individual panels I observed were very mixed, with some not having any people attending at all, and items seemed thrown together without much planning. Without better programming, you burn out of the event as soon as you have seen all of the vendors and artists. I didn’t feel like it was a weekend full of entertainment, but rather something that was solid for a couple of hours on a single day. I think there’s a need for more involvement from the convention, especially to promote items with individuals you might want to see, but also more focus provided for the fan-led discussion panels. 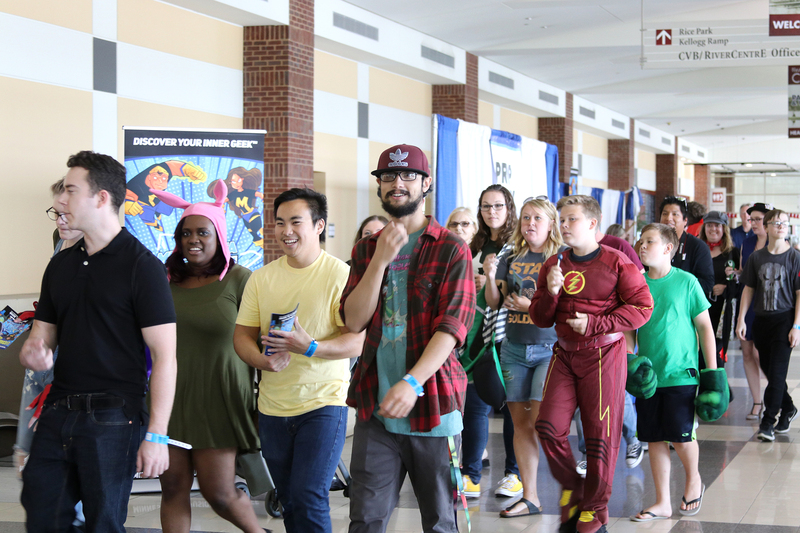 Minnesota Fan Fusion has the potential to be a the solid pop-culture expo that the Twin Cities haven’t really had previously, and as opposed to many others that have come into town, it’s an event that desires to be a part of the overall local geek community. There is definitely room for improvement and opportunity for growth, but it’s a solid start, and they seem to be improving each year. We’re a market that should have an event like Minnesota Fan Fusion, and this seems like an event that could be a very good one. Michael has been involved in organizing conventions on two continents over four decades. The best way to take a break from organizing conventions is to write about them on the Internet. It’s great to find out about a more varied and diverse fandom/geek/etc convention. Because the Twin Cities already have a glut of anime conventions and not much else. I mean, I like the MCBA cons, but CONvergence is something I just don’t do because of its size. I would hope for a local convention that does not have anime as its focus. I also like the idea of a convention that is fairly easy to get to, also, because I ride public transit. Alex: Have you considered Marscon or Minicon. ? both are smaller 900 & 600 attendees, and light on anime and moderately easy to get to via public transit. I agree with you assessment of the programming. Some of the moderators seemed to have been told (that morning?) that they were just there to facilitate audience conversations.